At Hemmings and Jarrett we have the largest array of silk flowers in the Tahoe area. You can make everything from dining arrangements to floral crowns and even boutonnieres for your Lake Tahoe wedding. Take a look at how you can make you own in this tutorial from Afloral and Green Wedding Shoes. We love that silk flowers mean they will never fade or flatten, and you can choose any flower no matter the season! • Silk flowers. 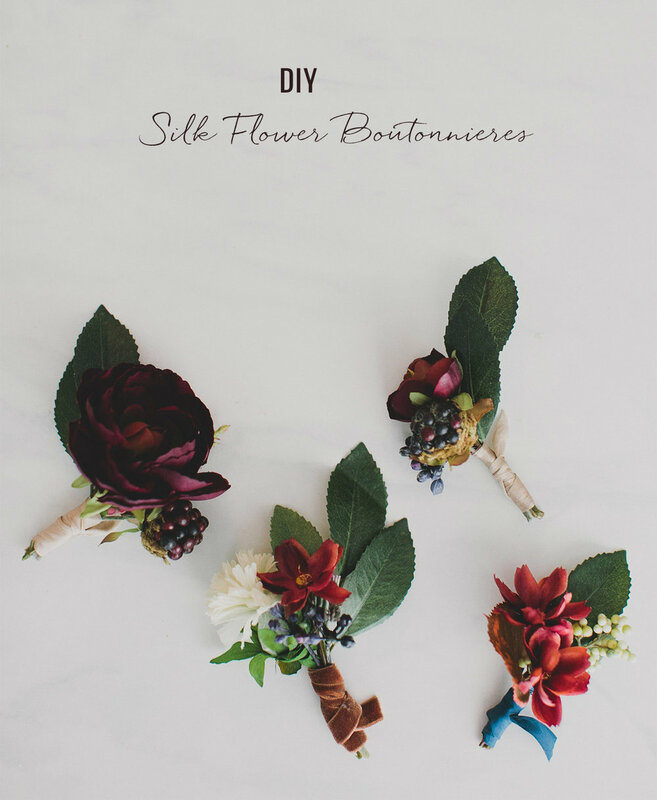 These boutonnieres are made with focal ranunculuses and fillers like jasmine and berry sprays.